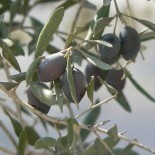 Jordan Valley Wholefoods stocks Zaytoun brand certified Fairtrade olive oil, which is produced in the Jenin area and by farmer co-operatives in other parts of the West Bank. The shop doesn’t have its own website, but there is an interview with the Palestinian owner here. This entry was posted on December 3, 2012 by Sarah Irving in Olive Oil and tagged Edinburgh, Fairtrade, Jenin, Newington, olive oil, Palestine, West Bank.